One of the best ways to draw attention to the ugly side of humanity of is to beautify it, to make people want to look instead of look away. 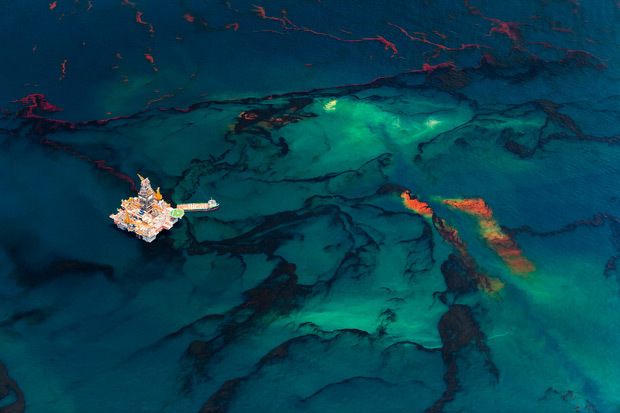 Seattle-based photographer Daniel Beltrá has achieved this with his photographs of the 2010 BP Deepwater Horizon oil spill in the Gulf of Mexico, which he documented for Greenpeace. 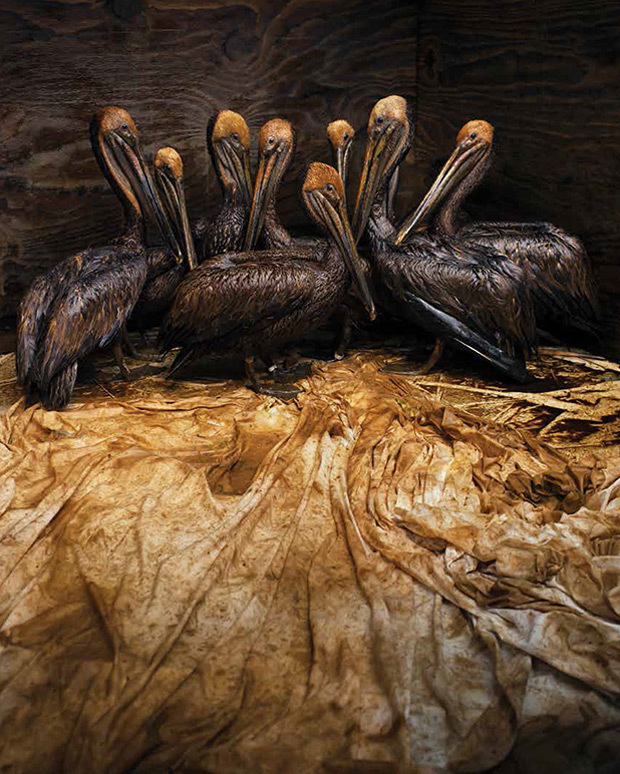 Spill, published by Gost Books, collects these striking images, all reminiscent of abstract paintings, into a compelling volume of evidence of environmental devastation. If the expanse of the ocean were an unknown visual trope, it would be possible to get lost in the sheer beauty of these photographs. 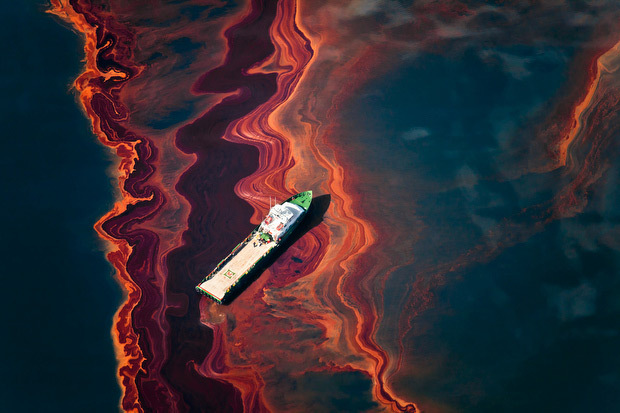 Knowing how the ocean normally looks, the horror of this massive environmental catastrophe that killed 11 people, countless animals, and polluted oceans and coastlines and interfered with fisheries is readily apparent and impossible to escape. 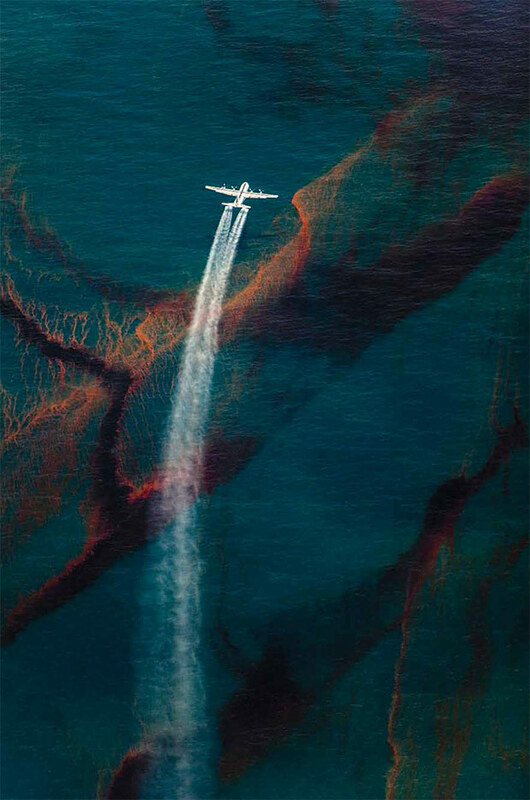 Arriving in the Gulf one week after the spill, Beltrá spent 40 hours over the course of two months photographing the spill and cleanup efforts, flying 3,000 feet above the Louisiana coastline in a small, rented Cessna aircraft. 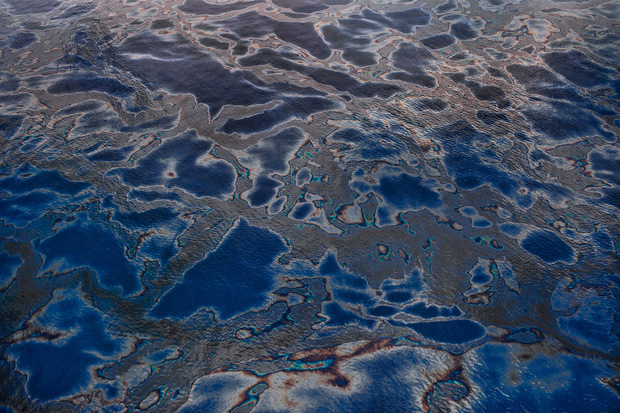 Some of the 411 controlled burns used to clean up the spill are visible in Beltrá’s photos, as well as the effects of the oil and Corexit, the controversial toxic chemical poured in vast quantities (1.8 million gallons) over the spill, evidenced by the red striations seen through the surface of the oil and water. 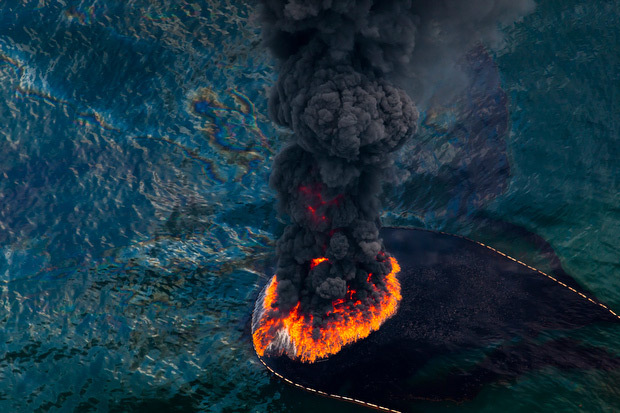 Although the Deepwater Horizon oil disaster happened almost four years ago, images of it remain consistently relevant out of the sheer probability that this very same sort of disaster could happen again. Beltrá’s work is currently on view in the exhibition Prix Pictet: Power at the Museum of Photographic Arts in San Diego through May 18, 2014.